Share your best memories of Okinawa! In the comments section under this article, please post your photos and impressions of memorable times you have had traveling around Okinawa. One lucky poster will receive a prize of a round-trip ticket for two to Okinawa! ●Announcement of winner: The organizer will contact the winner separately. * Participation in the Contest by entities with corporate status shall not be allowed. * The Contest period shall be from February 1, 2019 (Fri) to March 3, 2019 (Sunday) (GMT + 9) (hereinafter referred to as the “Contest Period”). 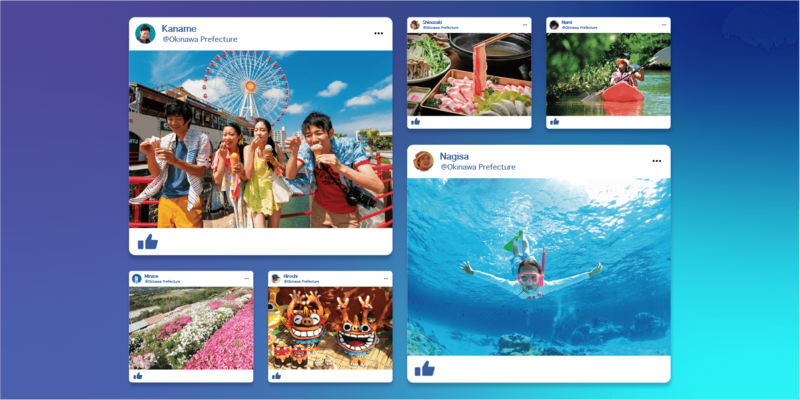 * Contest participants shall be deemed to have completed an entry in the Contest when they post their photos taken in Okinawa and impressions (about 50 words) in the comments section of the Contest post. * Only those photos and impressions posted during the Contest Period shall be valid. * Contest participants must set the privacy settings for their Facebook account profile to “public,” and be visible to the Organizer. * Participants are allowed to submit multiple entries, but entries with the same content will not count. * Consent for the use of the photos that show persons other than the applicant shall be obtained in advance. * In the event an entry contains a mistake in its content, or if it has been made via a false registration or by a person other than the entrant, such entry shall be deemed void. Entries shall also be deemed void when the Organizer deems the same necessary. * The Organizer shall not be liable in instances of any infringement of the rights, including intellectual property rights or portrait rights, of any third party. * The Organizer shall also not be liable in instances of any trouble with a third party arising when entering the Contest. Organizer retains the right to use the photos and submissions posted by Contest participants in the comments section of the Contest post in the following ways and for the following purposes. Applicants shall not assert the moral rights of an author with respect to any submitted photos. 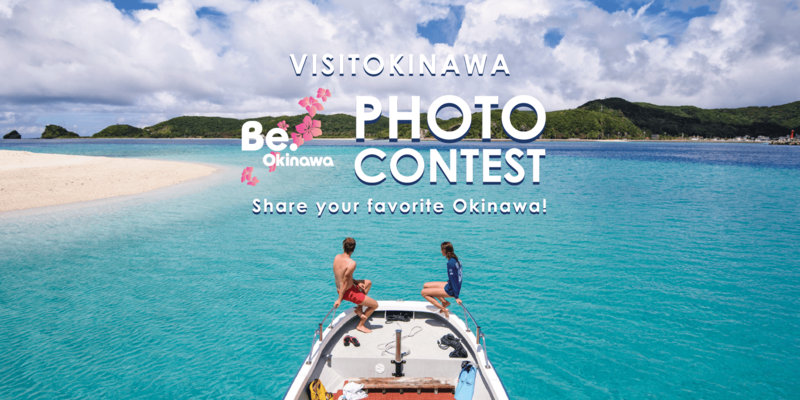 * Photos and submissions will only be used for creations related to the “Visit Okinawa Facebook Photo Contest,” and shall not be used for any other purpose. The scope of use includes that for printed materials related to the “Visit Okinawa Facebook Photo Contest” and in official Internet media (dedicated page on the homepage, Facebook pages) operated by the Organizer. * The winner will be contacted separately by the Organizer via a message on SNS. * No inquiries regarding acceptance of entries or confirmation of winning will be accepted. * If the winner is unable to be contacted for any reason, they will be disqualified. * The winner’s rights are valid only for the relevant person, and cannot be transferred to a third party or redeemed for cash value. * Acts that use this Contest to provide information, advertising or solicitation for profit.